Due to effective measures to improve its productivity, the European Patent Office (EPO) published 96 000 granted patents in 2016, which is 40% more than in 2015 and a new high mark in its history. The EPO's 2016 Annual Report, published today, also shows the Office recorded an unprecedented level of patent filings in 2016, reaching over 296 000, a rise of 6.2% (2015: 279 000). The figure is an indicator of the growing demand for patent protection from businesses worldwide. In addition, the EPO received nearly 160 000 European patent applications (files for which applicants have actually requested a European patent at the EPO), on a par with the record number reached the year before. The 2016 report confirms the positive trend in patent applications over the past five years, while the levelling off in 2016 corrects an exceptional spike in applications from the US in 2015. Innovating businesses from all over the world continued to file large numbers of European patent applications, with nearly half of all of them originating from the EPO's 38 member states. There was strong growth again in applications from China (+24.8%) and from the Republic of Korea (+6.5%), with Chinese applications exceeding ones from the Republic of Korea for the first time. Applications from Japan declined slightly (-1.9%), continuing the trend of the past few years. Patent applications from the US had enjoyed an unusual surge in 2015 (at 42 597) due to the one-off effect of a change in US patent law (America Invents Act of 2013), but have now normalised (back down -5.9%) at 40 076, which is still 9.3% up on 2014 (at 36 668). 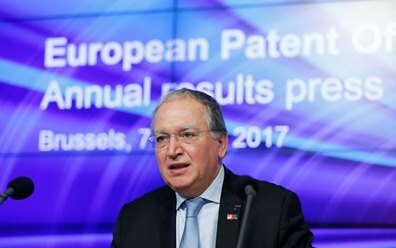 "The 2016 results confirm Europe's attractiveness as a leading global marketplace for innovation," said EPO President Benoît Battistelli. 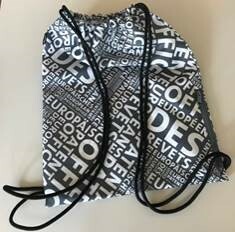 "In a rapidly changing political and economic landscape, companies from around the world have kept up their demand for patent protection in Europe. While we see impressive growth in applications from Asia, European companies maintain their role as drivers of innovation and economic growth in their home market, and are proving their resilience in the face of unsettled economic conditions." He added: "We have responded to this sustained strong demand for patents by significantly increasing our performance yet again, whilst maintaining best quality standards. These results clearly show that the reforms introduced at the EPO in the past five years are effective and reflect the needs of the European economy."